Extra Tropic treat for you…..
FREE DELIVERY! 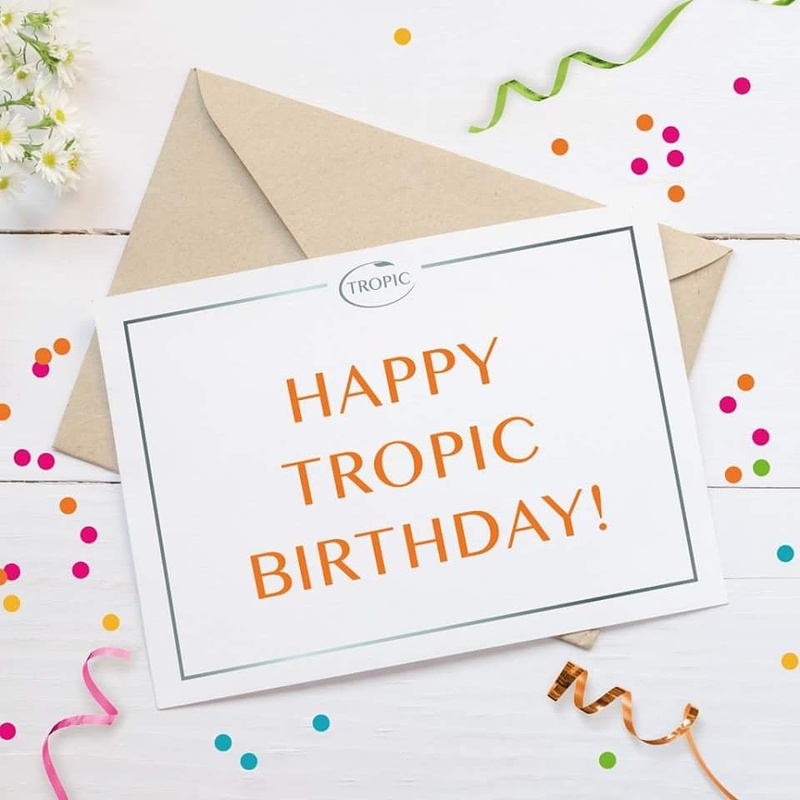 To celebrate our 3rd birthday there is free delivery when you order from http://www.tropictracey.co.uk Free delivery offer ends 9am on Monday 9th May 2016. At Tropic we are committed to protecting our environment, which is why we’re excited to reveal a brand new eco-friendly, box-free option for our collections! If you’ve enjoyed our products before, you’ll know that our collections come beautifully gift wrapped, and after listening to your feedback and suggestions, we’ve expanded our collections range to include a box-free option. If you’re repurchasing and don’t need the box, simply order the eco-friendly option instead. WHAT DO I GET IN MY ECO-FRIENDLY COLLECTION? You get the same gorgeous products, but without the extra packaging, which is better for the environment as there is less waste. HOW DO I ORDER THE NEW ECO-FRIENDLY OPTION? We’re always looking for ways to improve and make your shopping experience with Tropic the best it can possibly be, so let us know how you get on with our new eco-friendly option and get in touch if you have any suggestions on how we can improve. Categories: General | Tags: eco friendly, natural skincare, Tropic, tropic skincare, vegan skincare | Permalink.